Come and enjoy a delicious snack of your choice with unlimited drinks while you can admire the beautiful sights of Budapest along the river Danube on this guided sightseeing cruise. 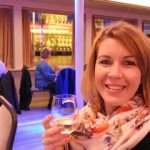 Book your tickets now to secure your places on the Budapest Snack Cruise, using the booking form on the left side of this page. The Budapest Snack cruise runs every day. Boarding: 15 minutes before the actual cruise starts. Departure: in Budapest city centre near Elizabeth Bridge. You can choose one of the following hot food options, or have one shot instead (options: Jack Daniels, Finlandia, Bacardi, Jägermeister). 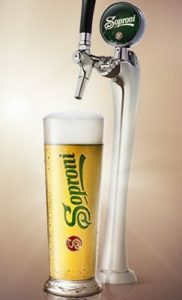 The price includes the unlimited consumption of beers and soft drinks. 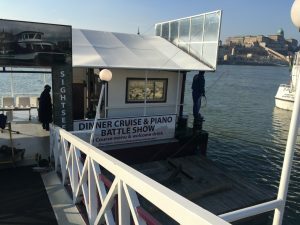 In case you are looking for a longer and more elegant Budapest dinner cruise, we recommend you the Dinner Cruise with Piano Music program. On this 3 hours cruise a 4-course dinner will be served to you, while you can enjoy the fascinating live show of two piano artists. Could you please let me know what discount is available for a group booking for either a wine tasting evening cruise or a dinner evening cruise. The group size is 12. We have contacted you via email regarding your question. Could you please let me know what discount is available for a group booking for either a snack and unlimited drinks or a dinner evening cruise. The group size is 19. Can you tell me please for how many people is the boat or if is possible to have a small privat boat. We have received your inquiry about your planned cruise for your group. We will soon send you the detailed quote with prices and inclusions to your email address. Dear Radka, we have sent you an email about your planned cruise with snacks and unlimited drinks, but unfortunately, the email provided bounced back, and we could not reach you. Please contact us again, if you wish to book a cruise in Budapest for your group. Could you please let me know how much the discount would be and quote for 13 people on April 8th to do unlimited beer cruise. 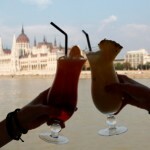 We have received your inquiry about your planned cruise for your group in Budapest. Please check your mailbox and spam box for the offer. The price of the 2 pm Snack Cruise with Unlimited Drinks is €29 per person. I am afraid, as this price is very reasonable for such inclusions, therefore we are not able to give group discount to such a small group. 1) Does the boat have a viewing terrace? 2) What is the route/monuments this cruise would cover? Yes, of course, the boat has an open deck terrace. 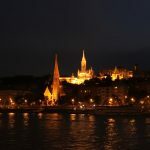 The route of the cruise is between the Margaret Bridge and Rakoczi Bridge, covering the whole city center on both sides of the river Danube. 1) Will the cruise cover UNESCO Heritage sights viewing? 2) How many portions of the snack is allowed per person? Of course, it will cover the UNESCO World Heritage sights. You can choose one hot food options, or have one shot instead (options: Jack Daniels, Finlandia, Bacardi, Jägermeister). thank you for your comment. Yes, of coursem we are happy to send you a group offer. I will soon send you our offer to your email address. 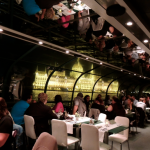 The Budapest Card gives you a discount on the Ala Carte Dinner Cruise. 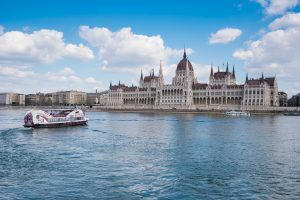 The high-end cruise tickets can be bought with a Budapest Card for EUR 27.9 (normal price EUR 31) with pay as you order deal, or for EUR 55.5 (normal price is EUR 62) with 4-course dinner included. Please note that your valid Budapest Card must be presented upon boarding. Please let me know if I can help more. Do you have gluten free pizza? I am afraid, gluten free pizza is not available on this cruise. Please could you let me know how much it would be for a group of 16 on Saturday February 10th for the Unlimited Snack Cruise at 7pm? Would there be a group discount? We will soon be in touch with you via email. Hi, can I pay on arrival or do I need to prebook? yes, it is possible to buy your tickets on the spot before the cruise, but in this case unfortunately we cannot guarantee your places. Advance online booking is recommended. I was looking to book the snack cruise with unlimited drinks for Saturday the 23rd March at 3pm and was wondering if there was a group discount? I would like to book the snack cruise with unlimited drinks for Friday 27th July at 9pm and was wondering if there is a group discount for group of 5? Hi , We are Travelling in November 2018 , 11 Pax group Please give us best deal , and As It is November It will get dark fast . Wanted to know if we take a 4 pm or 5 pm cruise will be be able to see all the lighted monuments and all or we need to take a different time ?? Hope we can welcome you on board! The snack cruise leaves form near the Elizabeth bridge but does it return there at the end of the cruise or elsewhere? the cruise arrives back to the same dock where it leaves from. Enjoy your stay in Budapest!